Microsoft and Intel's revolutionary new Windows Hello facial recognition feature has passed a grueling test that involved Australian twins and a laptop. Six sets of identical twins signed up for a trial run by The Australian that attempted to trick Windows Hello into allowing one twin access to the other twin's Windows PC, and the results for Windows and Intel appear to be good. The method involved one twin register for a Windows account on a Lenovo Thinkpad and then go through the face recognition process for use to log-on to the PC. The first twin then logged in using the Intel RealSense camera before the machine was logged off, and the second twin attempted to do the same thing. The verdict for Microsoft and Intel was a successful one, as there was only one pair of twins that wasn't recognized by the system at all, and this was the only time that it failed. In every other case it recognized the correct twin, and gave access even if it did take a little longer than hoped. 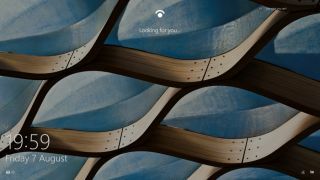 Windows Hello was added to Windows 10 when it was release last month and allows users to login using biometric recognition instead of a password. This can be anything from eye and face recognition to a trusty fingerprint. The method uses a RealSense camera developed by Intel that sits above the display and actually consists of three lenses - infra-red, regular and 3D. Scans are analysed using heat and depth detection. Windows 10 is popular among PC users already with approximately 27 million installs at the last check, and that number is expected to rocket as more and more Windows 7 and Windows 8.1 users.